I haven’t been doing much on the blogging front at all since I started a new job in April, and for some reason feel supremely guilty about abandoning my blogs. Blogging to me feels like exercise, a testament of self-discipline and endurance; you need to make it a habit in order to create and extract any value from it. So here I am, trying again :). Pan Fried Country Dijon Mustard Chicken: I first made this back in March, or as it is known in my memory, as the Month of Interviews. I didn’t have much mood or will to do much cooking during those tiring weeks so our meals were very simple. This is one of them. 1. 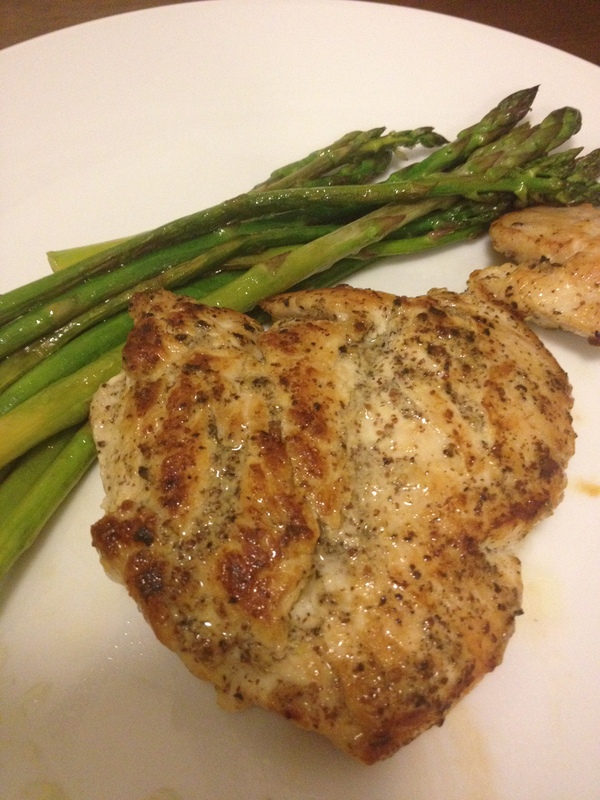 Sprinkle salt and black pepper on both sides of chicken. Then coat chicken with mustard using back of spoon or hands. 2. Let chicken. marinate for 15 minutes. 3. Heat frying pan on medium. Add 1 tablespoon of olive oil. 4. Pan fry chicken breasts when oil is hot but not smoking – do not overcrowd. Cook first side until brown, then flip over. I usually cover the pan with a glass lid to ensure the meat is fully cooked. If the pan gets a bit dry, I’ll add a bit of liquid like water or wine. Goes great with mashed potatoes, asparagus, string beans! Hope you enjoy. for some reason I love anything with mustard on chicken, sounds great! Thanks for sharing. Me too! Must be the mildness of chicken and the sharp savouriness of mustard! Thanks for stopping by, Kim. Sheila, I love the simplicity of your chicken dish and your watercress soup. Beautiful pics too. Congrats on your new job! Oh thank you, Auntie Vivian! And it means a lot to me to get positive feedback from someone with as the level of culinary experience as you have :). Thanks for stopping by.